The great thing about bring up kids in this day and age is the wealth of digital educational resource on offer. Once such tool is the recently released Wonders of Life app, which explores the beauty of nature in 3D through HD videos and stunning photography as well as detailed text and diagrams. 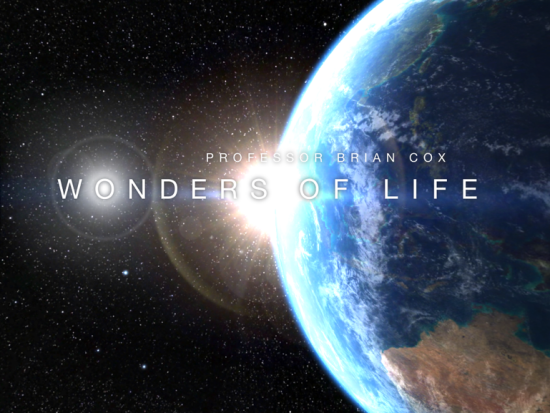 Professor Brian Cox provides the commentary for the Wonders of Life app, the follow up to his Wonders of the Universe app, which was hailed by Apple as 'one of the best apps of 2012'. Both these apps are based on TV shows with the same name presented by Cox and produced by the BBC. The Wonders of Life app has much to offer including a detailed insight into over 30 creatures in their natural habitats in 3D, more than 2 hours of HD video, over 1000 high-res images and much scientific commentary. Additional bonus content can also be accessed by signing in, which is optional. The start of the app shows a satellite view of the globe with labelled continents. You can click on the continents to zoom into that part of world, and then select from tabs at the bottom to view the various media. 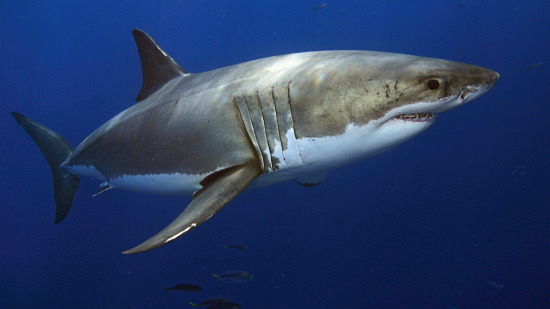 You can view the photos and videos or scroll further to read detailed scientific information on a particular topic. 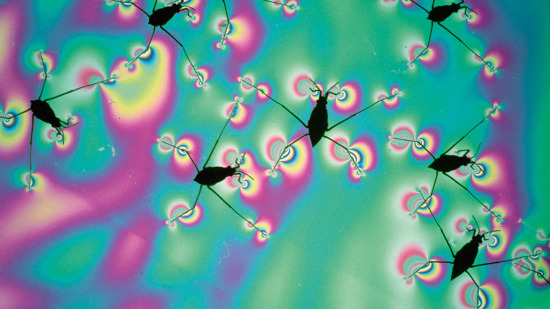 For example, you can click on Africa and then take a look at a chameleon or termites in their natural habitats. You can see the chameleon sitting in his tree and you can see how his little eye moves around - it's rather good. You can also see the outside of a termite nest, and tap to see the inside structure of the nest with the little termites running around. If you want to take it a step further, you can learn more detail on a given topic within a habitat, for example for the chameleon, you can find out about the structure of the eye, or the earths orbit. The more 'in depth' topics do not necessarily have anything to do specifically with the creature you are looking at - there's no real links between chameleons and the earths orbit! While the content in these sections is fairly detailed, I felt they had pitched it fairly well. With a little practice, I eventually did crack the navigation. You can move back up a step by pinching the screen. If you pinch lots you will eventually return to the globe. There is also a top navigation bar which makes it easy to switch between locations and the other sections. There is a 'how to use this app' button in the top navigation which is quite helpful. You can also download 'Brian's Tour' free of charge, which is a good way to get the most out of the app as you will see how all the information in the app follows a story rather than random browsing. As we have two boys age 5 and 3, many of the apps we have are mainly focused on their enjoyment or education. The beauty of the Wonders of Life app is that we could sit with the kids and enjoy it together. The kids loved to see the videos of the great white shark swimming and the red kangaroo hopping (so many times we have watched them!) Later on, we could have a read of some of the more geeky science stuff. Me and the hubby like geeky science stuff. The photos and videos are all excellent, very sharp and good quality, and the music which accompanies the app is beautiful and really draws you into the experience. There's extra free content which you can unlock by signing in. Overall we thought it was superb. Throughout the app, Cox speaks of evolution (I'm talking humans evolving from algae type stuff rather than evolution within a species or natural selection) as if it were fact when it is actually a theory. The navigation does take a bit of getting used to and I struggled to see why the content is split the way it is, into these six headings 'Africa' 'Austrilasia' 'North America' 'Sensory' 'Microscopic' and 'Elements Processes.' It took a while for me to get used to this - I would have thought either all locations or all scales would have been a more natural split. I have not seen the TV series but I'm guessing this might have something to do with it. I would have liked to have been able to spin the globe around, see the other continents and have some content about them too. The first thing the kids asked me is 'where do we live' and I couldn't show them as we live in the UK. Perhaps this will be on the Wonders of Life 2 app?! If you're a fan of wildlife documentaries then you will probably enjoy the Wonders of Life app very much. Families can enjoy using it together or alone as the content provides something for all ages. The app is packed with loads of brilliant scientific information, it's a real wealth of knowledge, and it interactive too. I personally found that the navigation takes a bit of getting used to but it didn't spoilt the experience. The photos and videos are excellent and let you enjoy nature in 3D from the comfort of your sofa. It's currently just £3.99 in the app store and only available for iPhone and iPads at the moment. This is a sponsored post. All words and opinions are my own. Photos and videos are stock images but a true likeness to those on the app.